Nice flat-leaved Italian parsley. No curly parsley here, thank you very much. 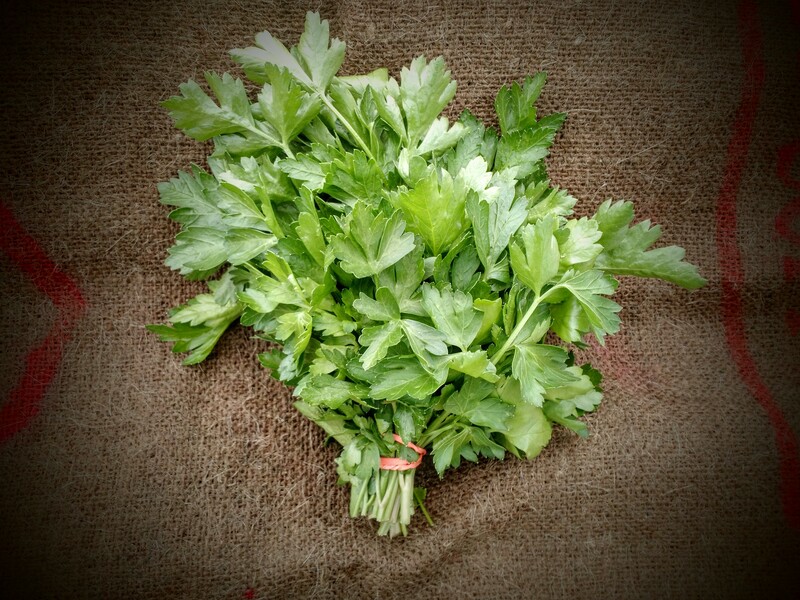 Parsley loves our heavy soil, and has a wonderful sweetness when picked fresh.